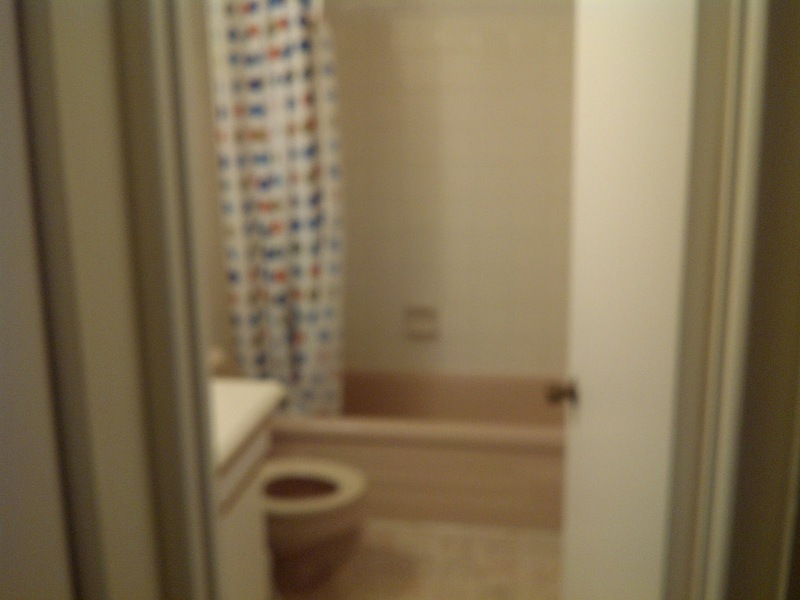 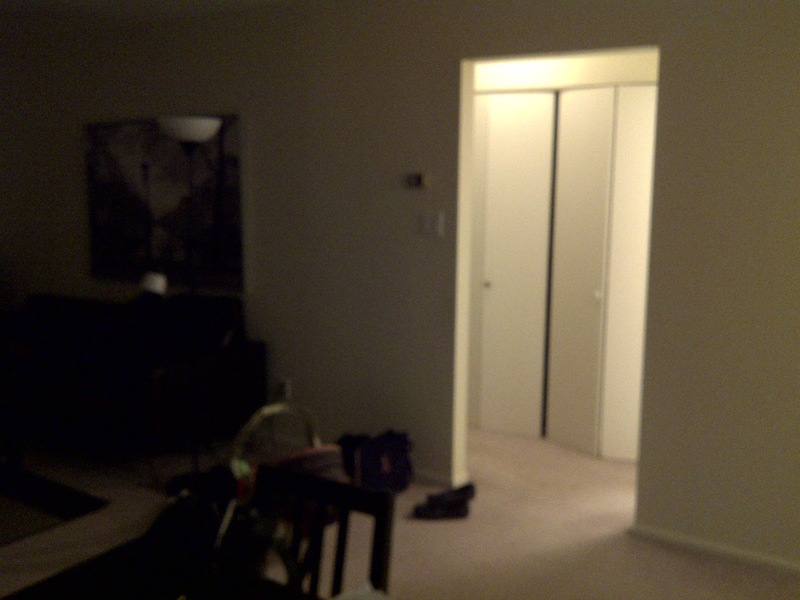 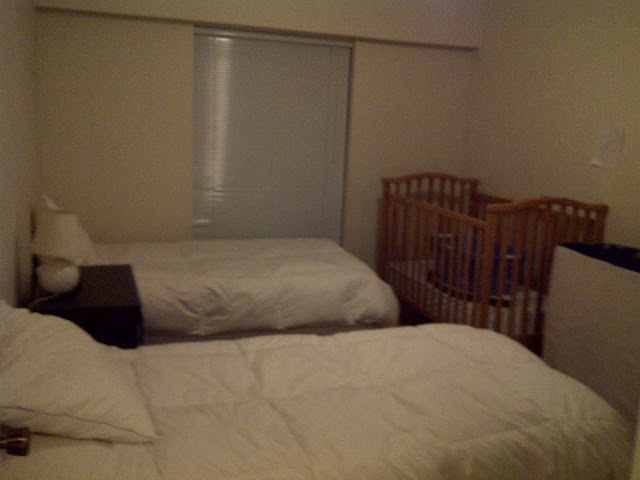 I'm staying in an apartment that is funded by Y.A.N.A http://www.yanacomoxvalley.com/ . 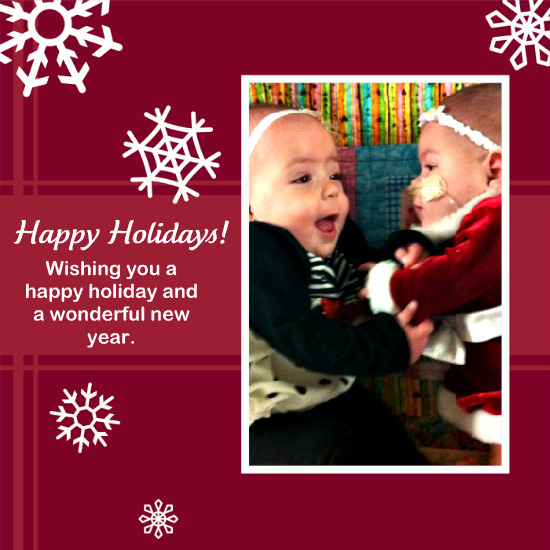 It's amazing after being at Easter seals for 6 months. 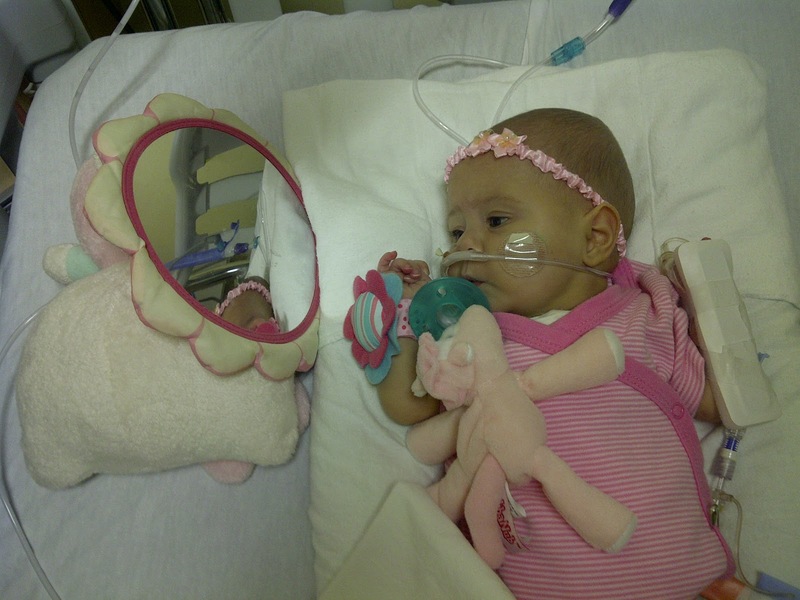 Hailey did really well there was No set backs with her. 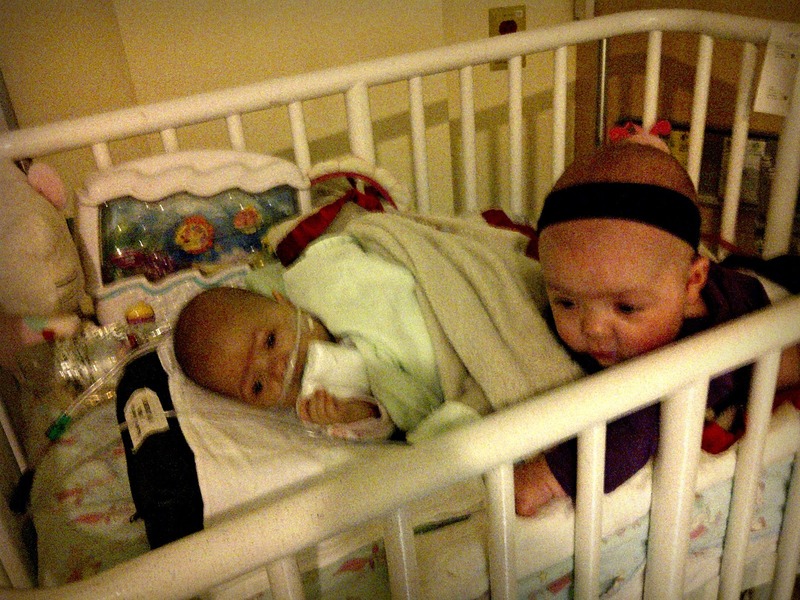 She stayed in the NICU for 2.5 months and came home two weeks after due date :). Hannah got NEC(Necrotizing Enterocolitis) her first week of life. 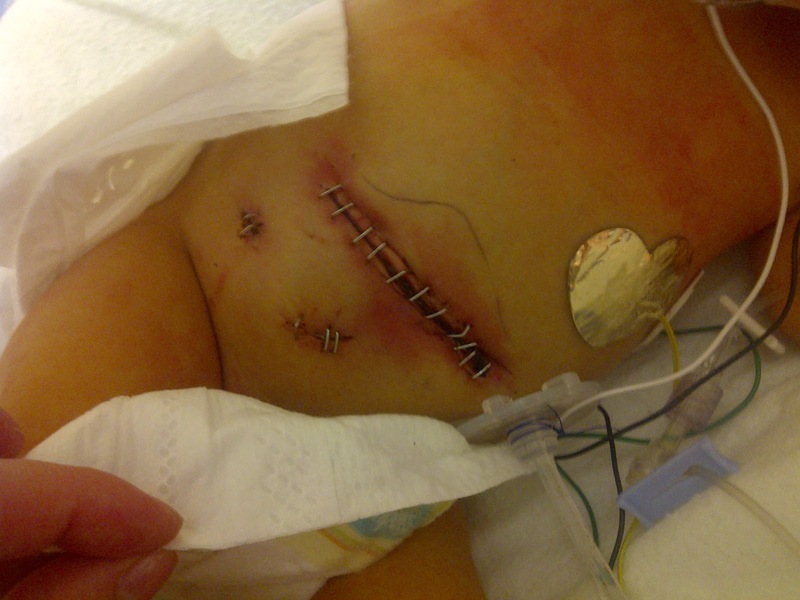 Thankfully she only had a 3rd of her bowel removed leaving plenty left. 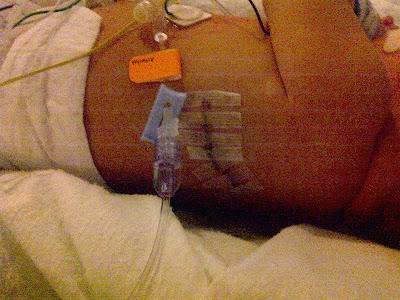 She did not have her bowels reconnected during surgery so she had to have an ostomy for a few months. 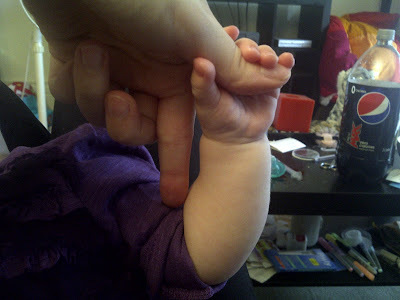 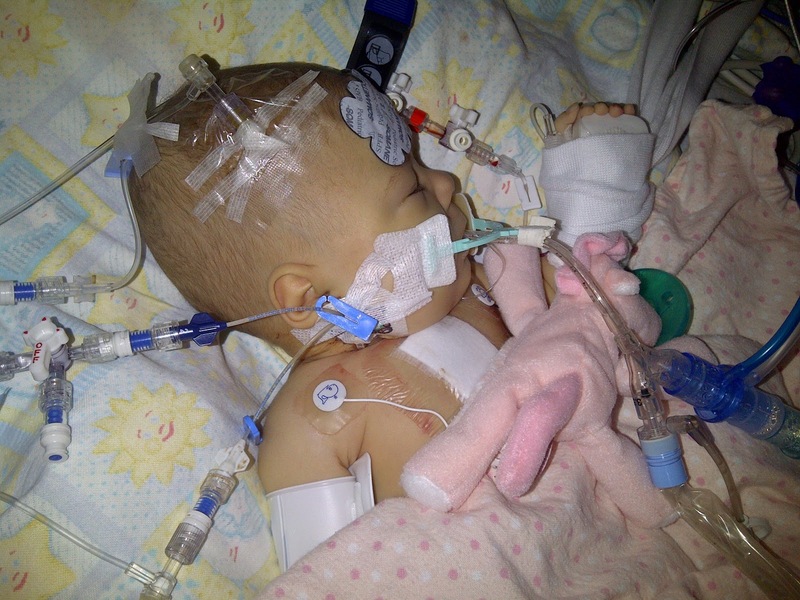 Hannah would also grow slower because of this :( adding to the slow growth from the heart problems. 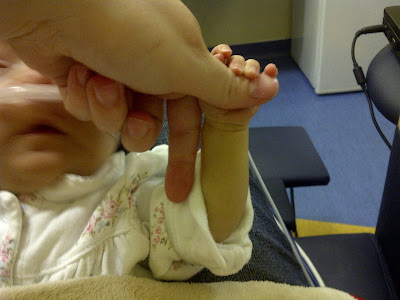 Second time cuddling Hannah (2 months old), first time holding both of them at once. 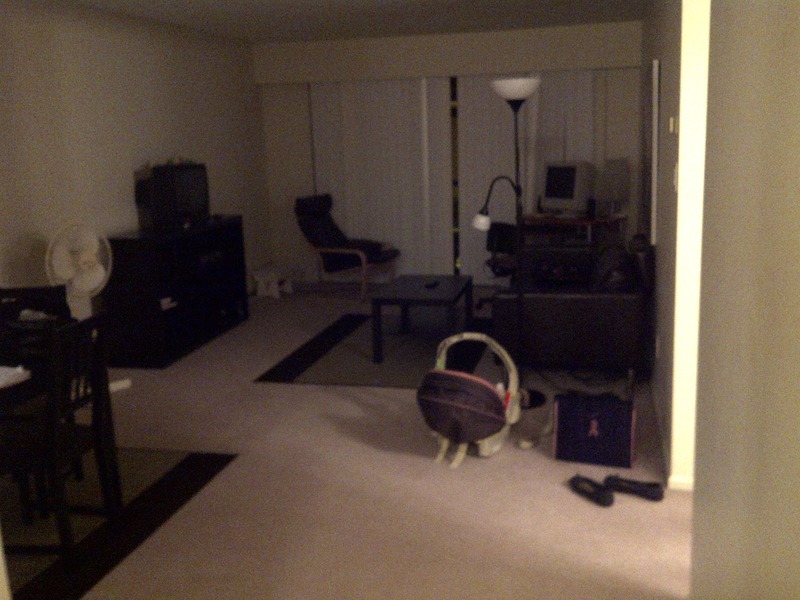 August 16, 2011 Change FINALLY! 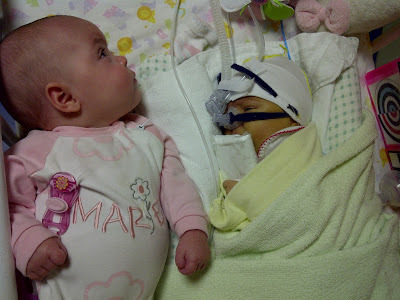 Hannah was finally stable enough to have her PDA(small hole in heart common in premature babies). 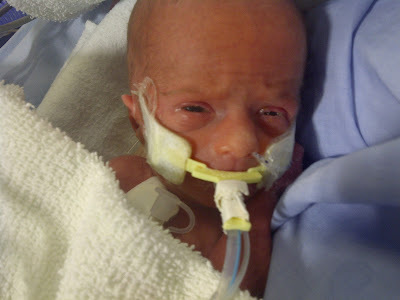 August 25,2011 Hannah had surgery to reconnect her bowel and to put in a G tube for long term feeding. 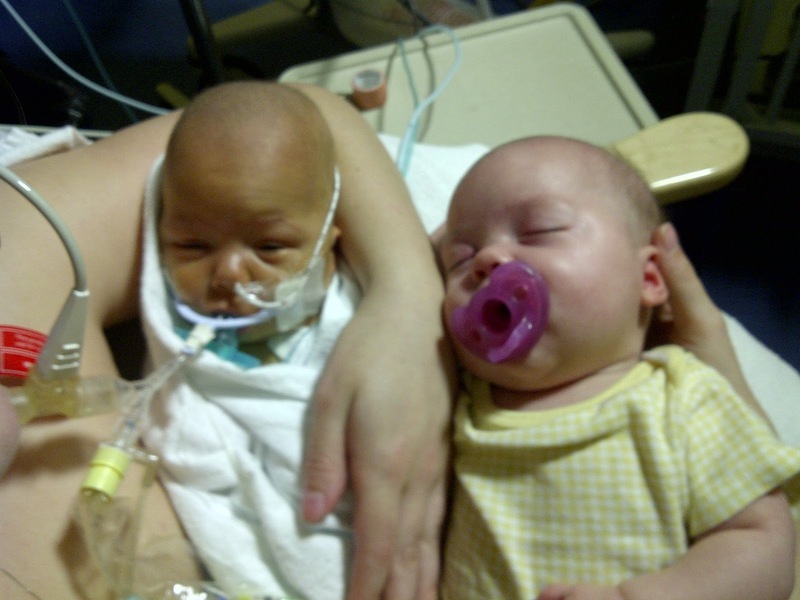 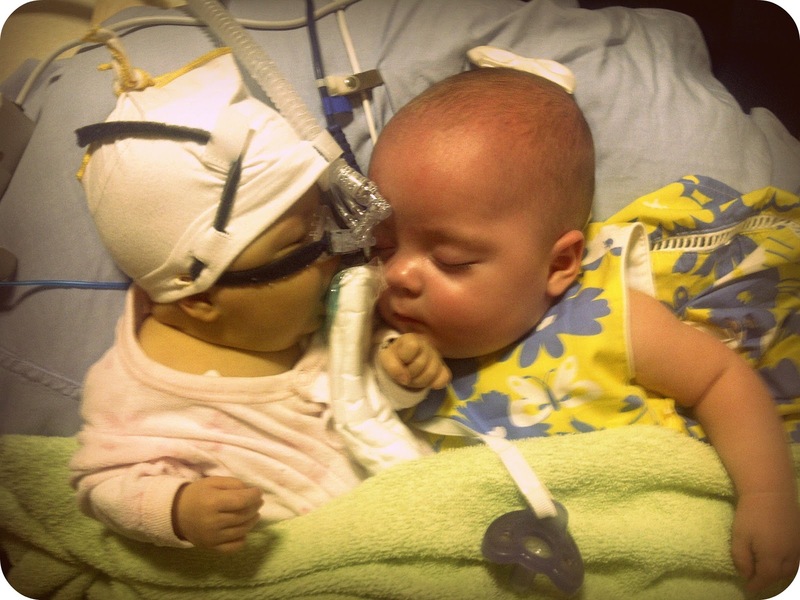 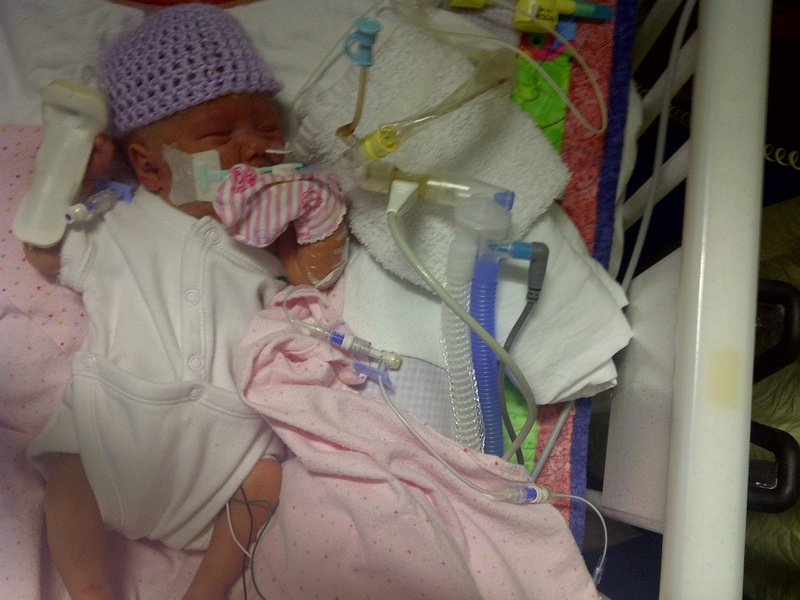 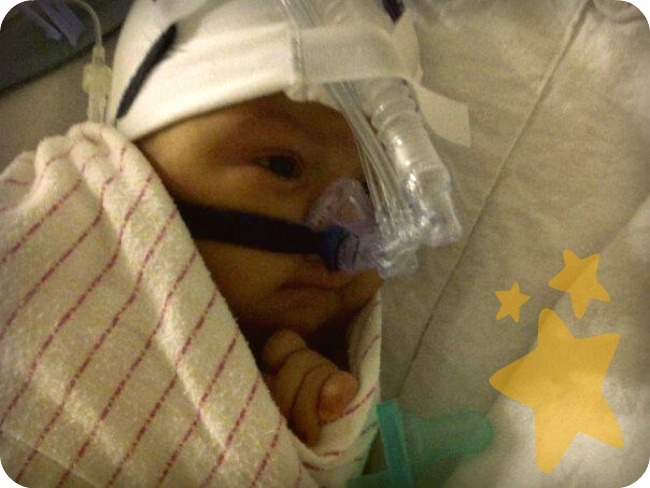 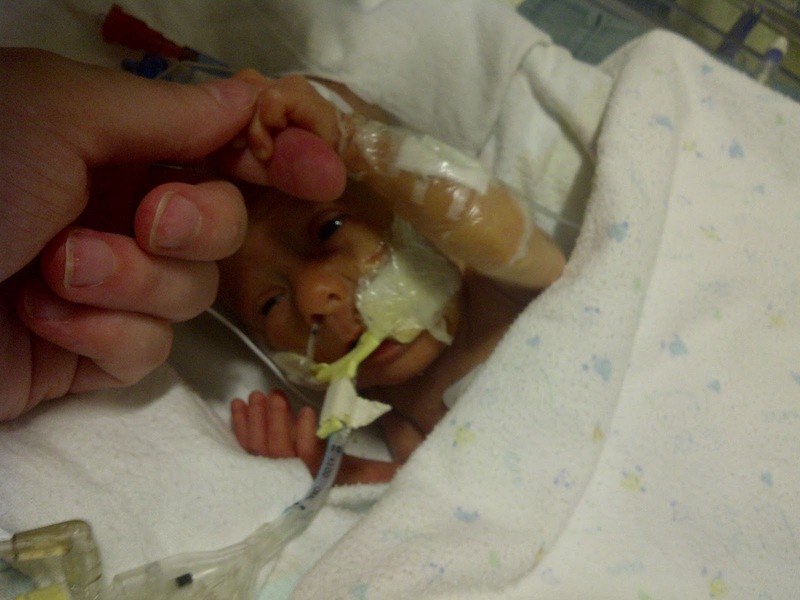 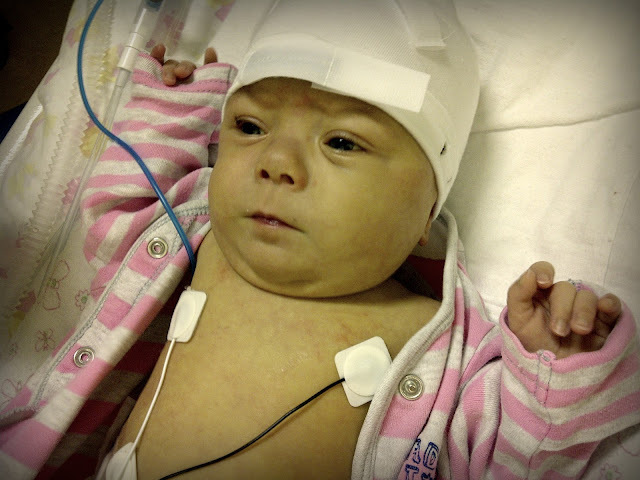 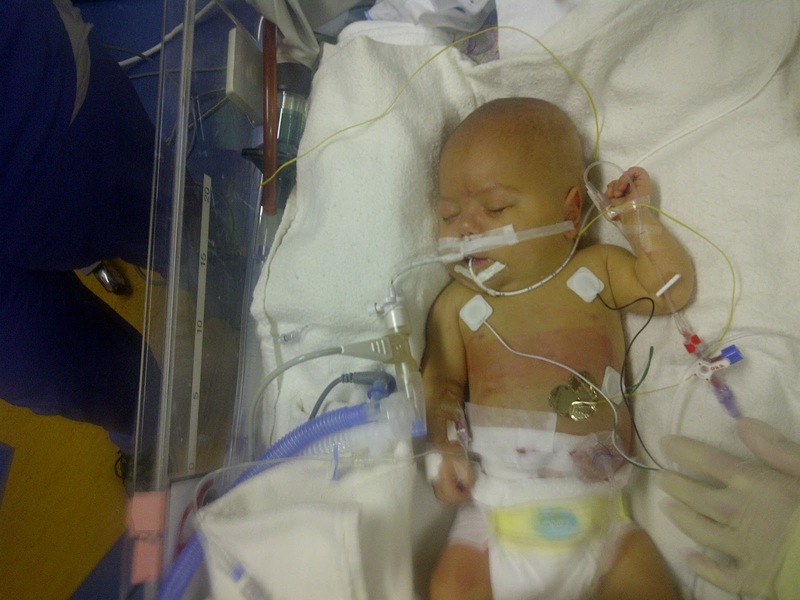 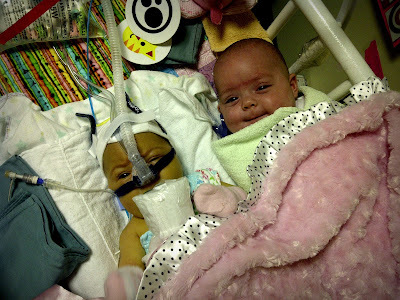 Using oxygen with premature baby can cause eye damage, Hannah near sighted because of it. 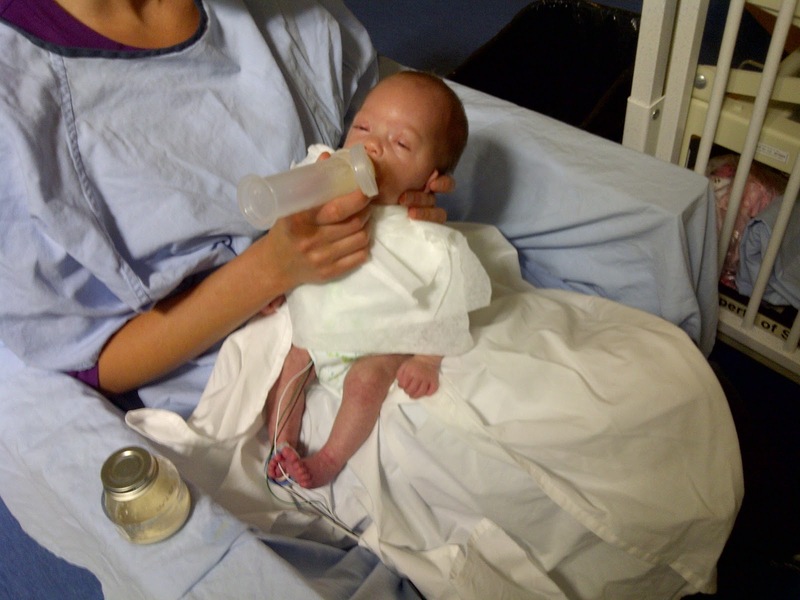 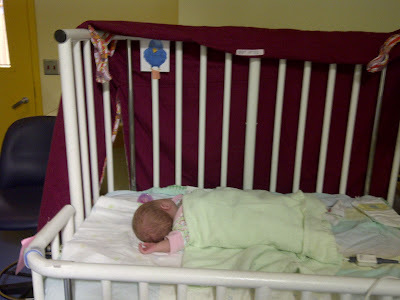 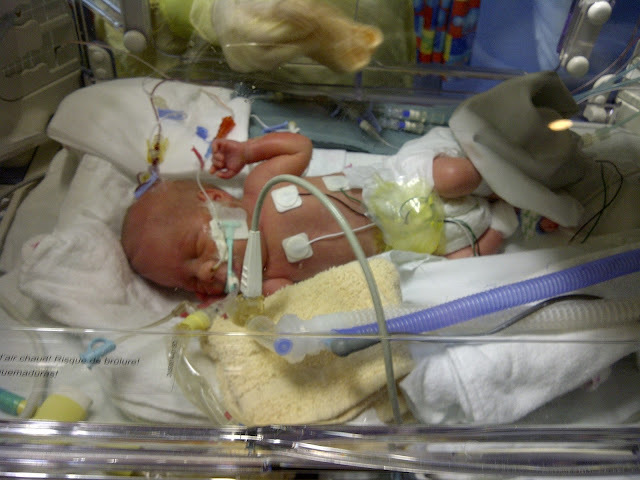 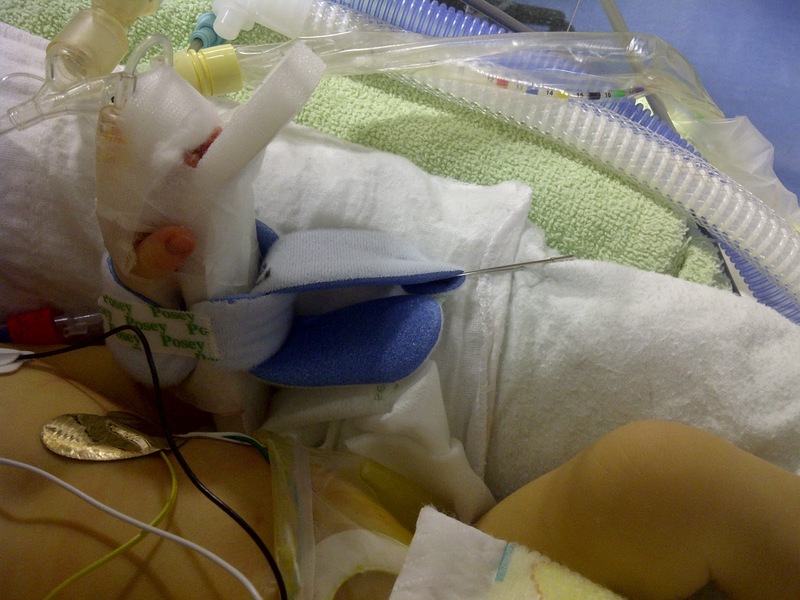 Hannah was transferred to Nanaimo hospital trying to prepare her for home. 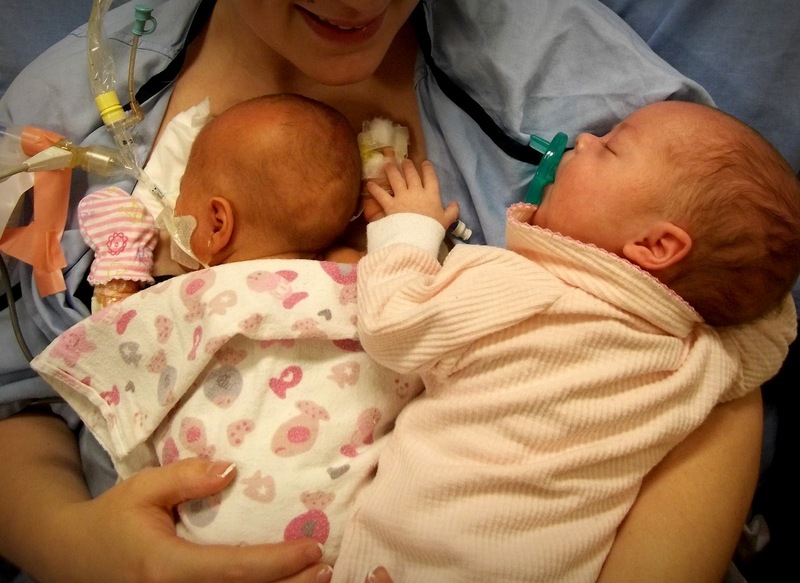 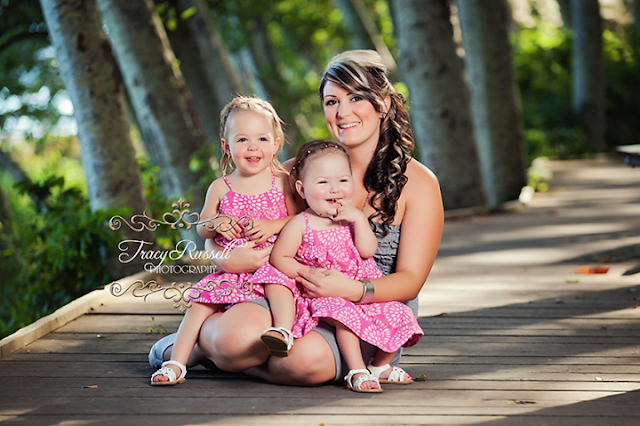 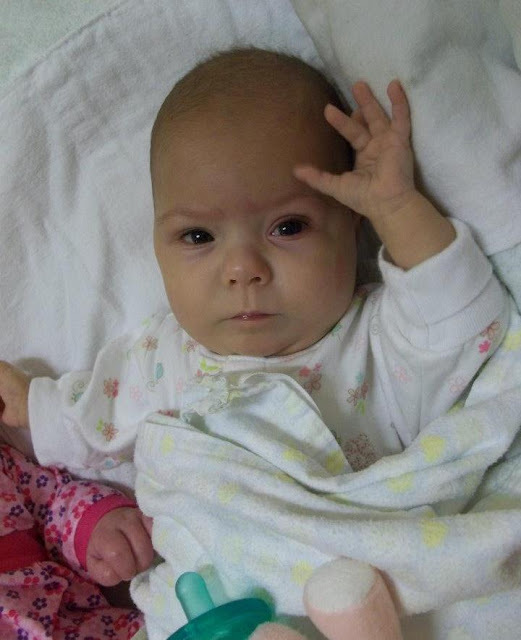 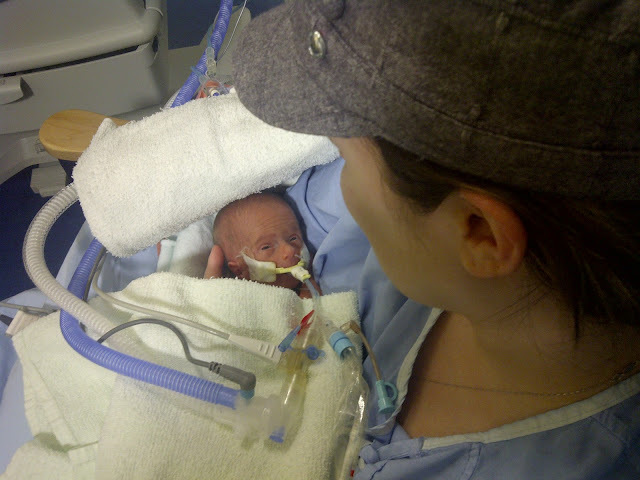 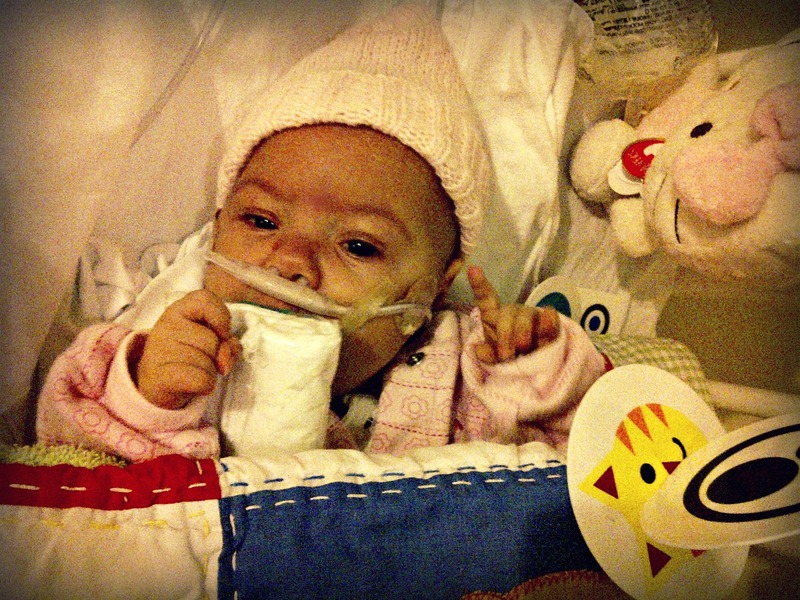 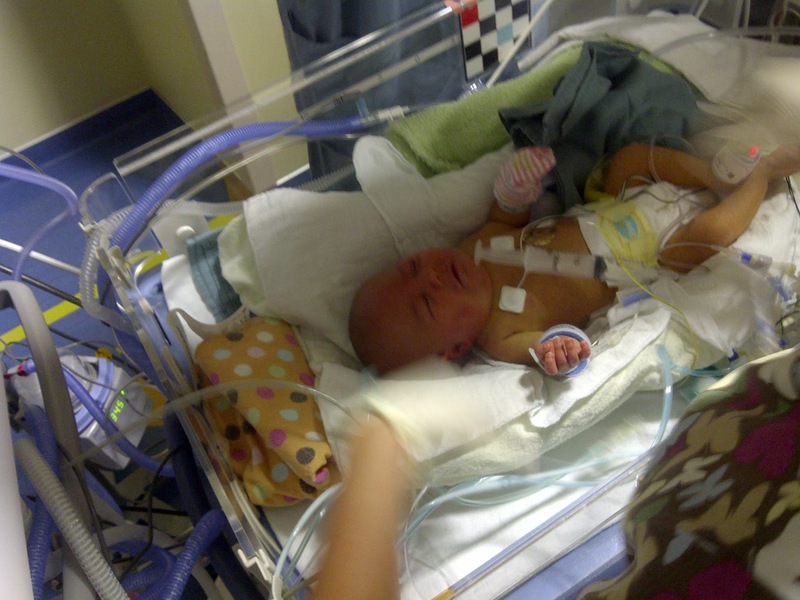 She only lasted 5 days in Nanaimo before being sent back to B.C womens/Childrens hospital. 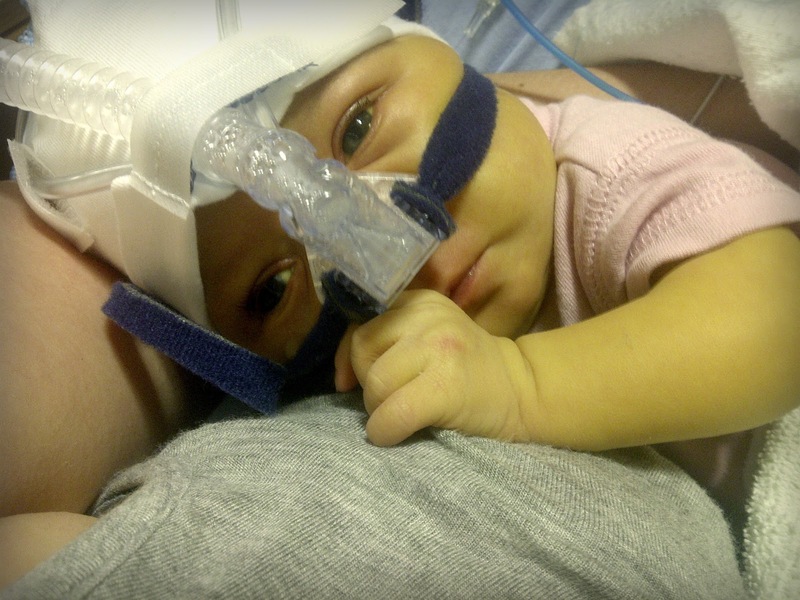 There was serious concerns regarding her respiratory issues and deterioration from her oxygen being weaned. At the time of being transferred back, Hannah needs to work; weigh gain, BPD(lung deases) and Pulmonary hypertension. Hannah has been intubated 132 days, on cpap 42 day, on high flow for 43days and She still is on low flow. 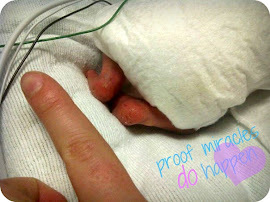 Her left vocal cord is 'sluggish' making her have a weak crackly cry. 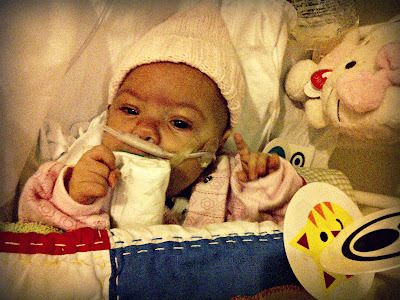 Her active problems are; sever BPD(lung disease), Pulmonary hypertension, a few smaller VSDs, short gut, reflux, weak cry. 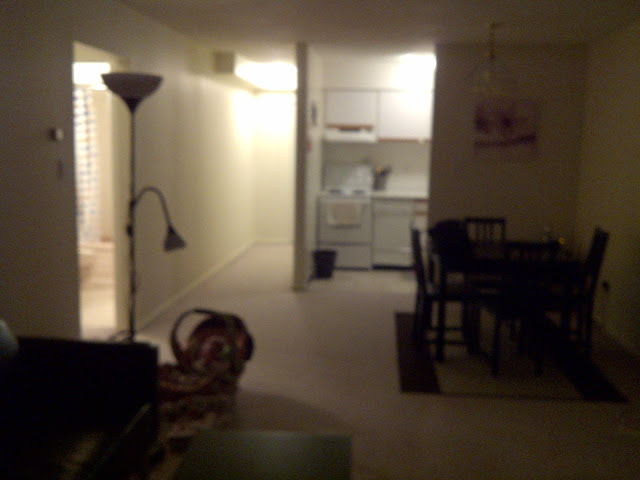 But they still think were stable enough for Nanaimo then home. 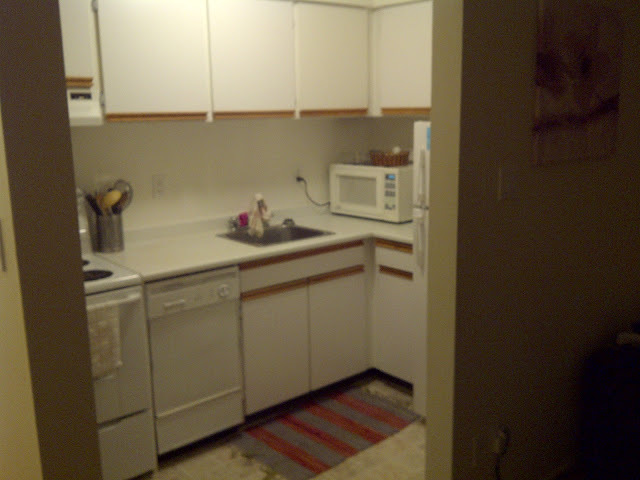 This time they sent us back for the exact same reasons as last time. 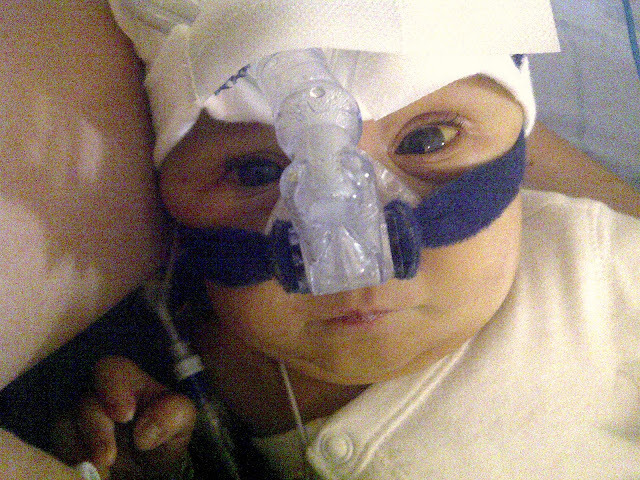 This time I was told that hannah's blood gas said she has high CO2. 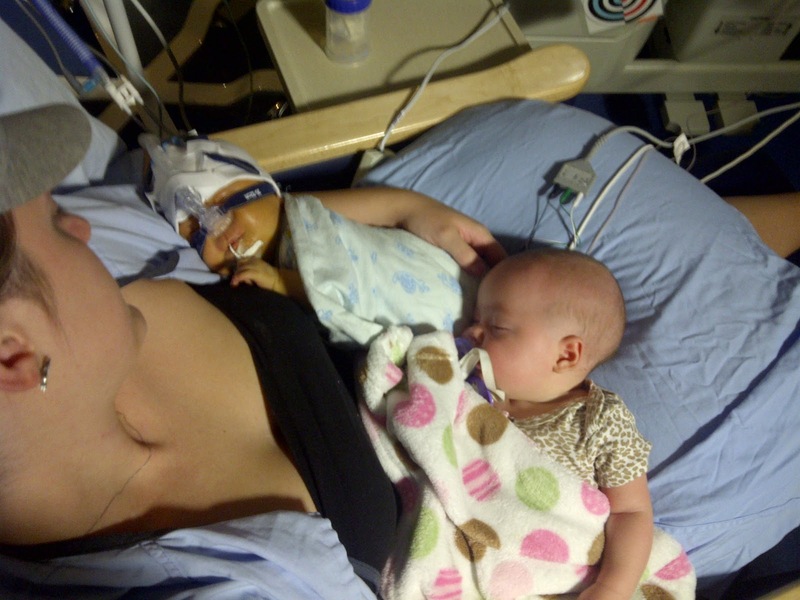 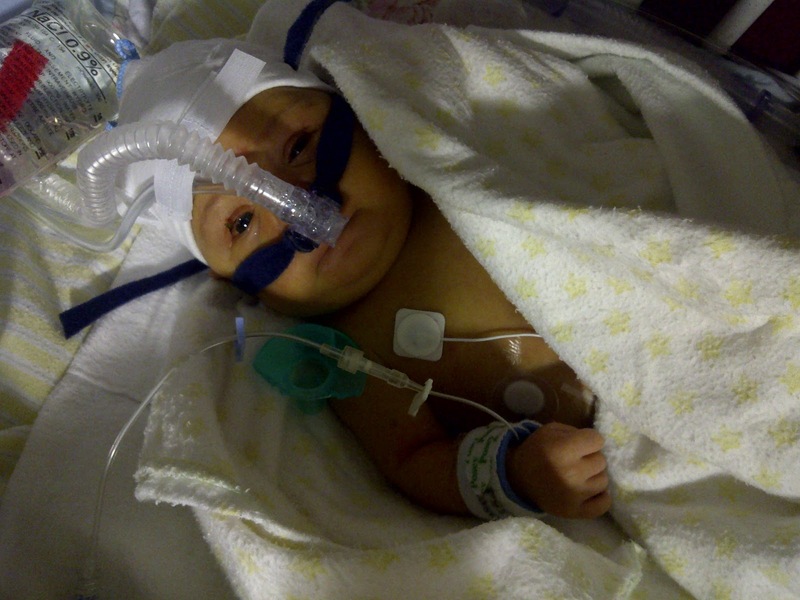 She was put on Bipap as soon as she got to B.C Womens/Childrens. The doctors told me they didn't know if it was the lungs or the heart causing her the troubles. 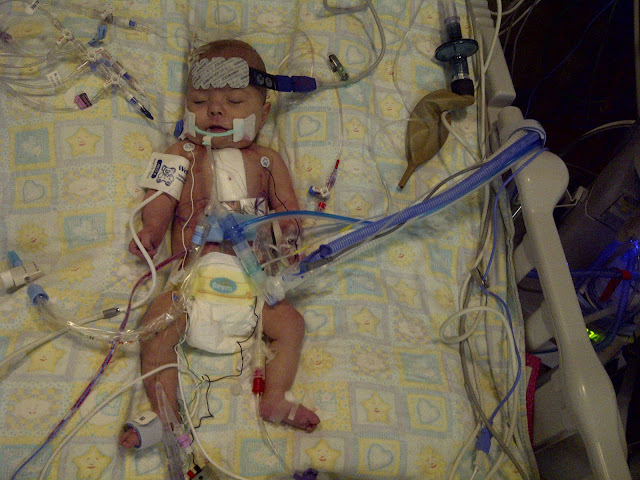 Cardiology re-looked at her heart saying that wasn't the problem. They changed her g-tube(that goes into the stomach) to a gj-tube(witch now starts at the beginning of the bowel). 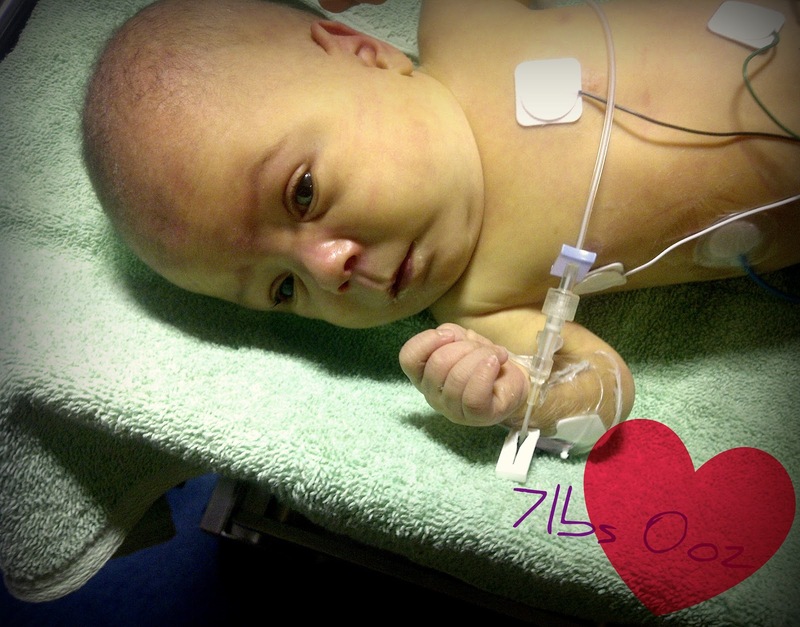 The change of the tube was suppose to help with her reflex making it less likely for her to get fluid in her lungs. 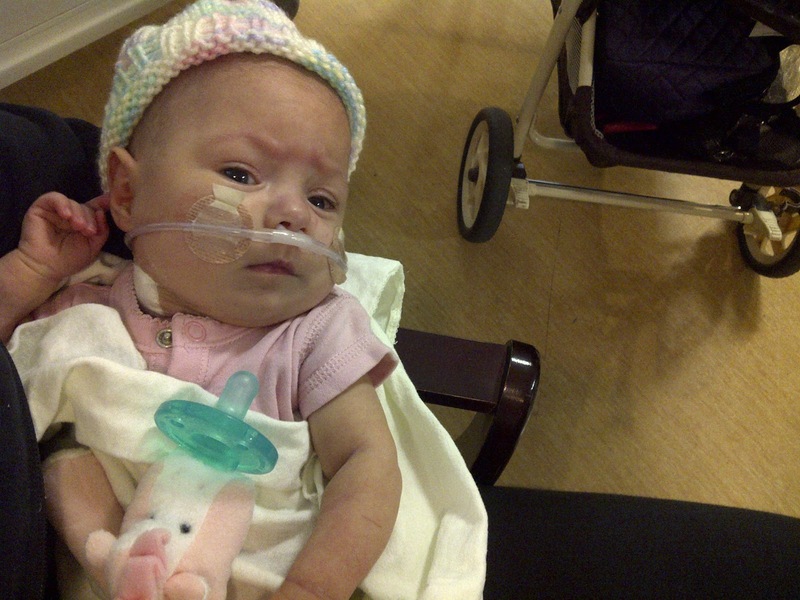 Hannah got Pneumonia right after being transferred back to Vancouver.